The final round of the 2019 MRF Challenge winter season will be held this weekend, February 8-10 at the MMRT near Chennai. The two earlier rounds were held in November and December at Dubai and Bahrain respectively. After the 10 races that have taken place in these two rounds, Belgium's Max Defourny leads the championship with 201 points followed by Britisher Jamie Chadwick with 183 points. The two have six wins out of the ten and are ahead of Germany's Andreas Estner who has 124. Five races will be held this weekend. Other notable entrants are Saudi Arabia's Reema Al Juffali who recently won the TRD 86 Cup race in Abu Dhabi, and 17-year old Glenn van Berlo, from the Netherlands, who makes his single-seater debut. The earlier rounds saw a lot of close racing but Defourney impressed with his consistency with three wins and six podium finishes. Chadwick has kept him honest with three wins. The single seater MRF Challenge cars are powered by a Mountune Duratec 2.0 litre motor that makes 240PS. This is paired with a Hewland six-speed paddle-shift gearbox equipped with an integrated dash and paddle-shift system. There's also advanced dynamics at play and the cars fitted with MRF Z.L.O. slick tyres. 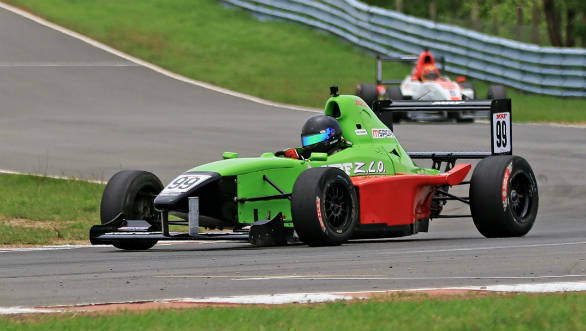 Notably, this weekend will also see the first round of the MRF MMSC FMSCI Indian National Racing Championship 2019. 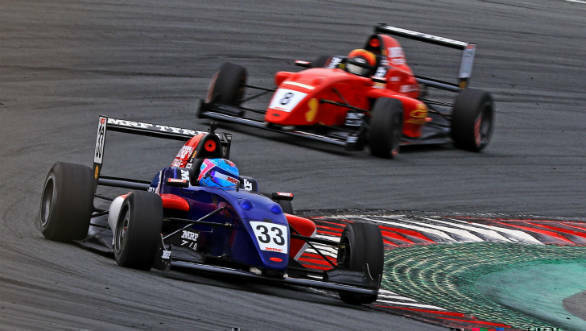 This championship will see competitors battle it out in the MRF Formula 1600, the top-end Indian Touring Cars, IJTC, Super-Stock and the Formula LGB 1300. Arun Mammen, vice-chairman and MD of MRF Ltd said, "The MRF Challenge once again comes 'home' to the MMRT this weekend for the grand finale which will witness another round of close and exciting races as was the case in the two previous outings in Dubai and Bahrain. For the current season, we have provided a slightly upgraded car and tyres that won the approval of the contestants. For the drivers, it will be a first time on the highly technical MMRT circuit and their major challenge will be to learn the track quickly. MRF is also proud to present three FMX riders from abroad who will entertain and thrill the spectators with their aerial acrobatics. All these factors, I am sure, will contribute to a weekend of high-octane action that is not to be missed."